Justice A.P. Shah has been appointed as the ethics officer (ombudsman) at Board of Control for Cricket in India (BCCI). 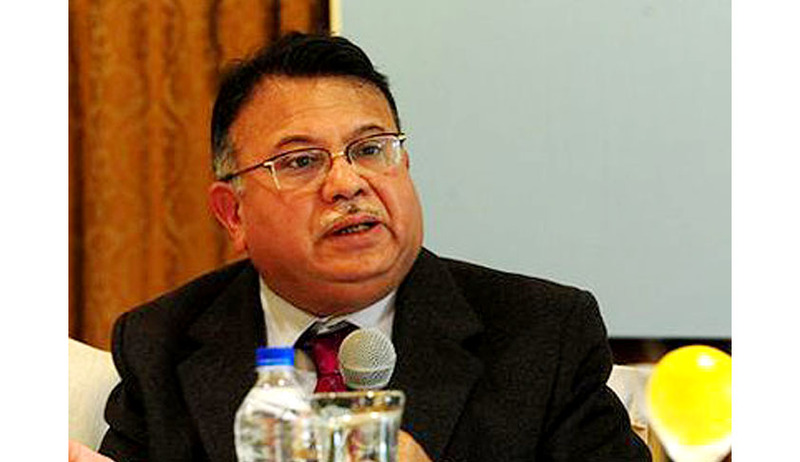 The former Chief Justice of Delhi High Court will take the chair as the sole decision maker on all conflict of interest issues plaguing Indian cricket. The Board’s 86th Annual General Meeting unleashed several historic decisions, being termed as a cleaning drive by analysts. Justice A.P. Shah’s appointment was approved unanimously for one year tenure. The AGM revealed that the BCCI has already started accepting all complaints regarding conflicts from Monday. Justice Shah’s appointment is being viewed as preemption of the Lodha Panel reforms, in order to avoid any controversies. As per the amendment and reforms of the board, any member who is an employee of the board can’t be part of any committees in the BCCI. The AGM has also held back the appointment of three neutral non-BCCI members in the IPL governing council. Former captain Sourav Ganguly was appointed Chairman of the Technical Committee, replacing Anil Kumble. Indian Team Director Ravi Shastri was also dropped from the IPL Governing Council. Roger Binny was removed from the selection panel to avoid any conflict of interest. Gagan Khoda and MSK Prasad were named the new members in the selection committee, replacing Rajinder Singh Hans and Binny. The decisions were riggered by the 2013 IPL spot-fixing scandal, which was investigated by the Supreme Court-appointed R.M. Lodha committee. You may read the judgment and LiveLaw story here. Conflict of interest was considered as the root cause of several problems that BCCI had found itself in, beginning with former ICC Chairman N. Srinivasan’s buying an IPL team. Following this, in July, the Lodha Committee proposed suspension of the Chennai Super Kings and the Rajasthan Royals’ franchise for a period of two years, apart from banning Gurunath Meiyappan and Raj Kundra for life from being involved with BCCI. Meiyappan was also declared ineligible for participation in any cricket activities for 5 years by the panel. The panel had clarified that the teams themselves are not suspended. It is just the owners who cannot run a team for the next two years. So perhaps if CSK and RR are bought out by other entities, they might be able to play. That hinges on the India Cements and Jaipur IPL Ltd’s willingness to relinquish their ownership. The panel is undertaking further investigation into the conduct of IPL COO Sundar Raman, who was also accused of wrongdoing. “Vivek Priyadarshi has been appointed by the Supreme Court to look into it and he is examining the matter, we are awaiting his report. After that we will decide what will be the action,” Justice Lodha had informed. The committee has been given an extension, till December 31, to give their final report. You may read the LiveLaw story here.